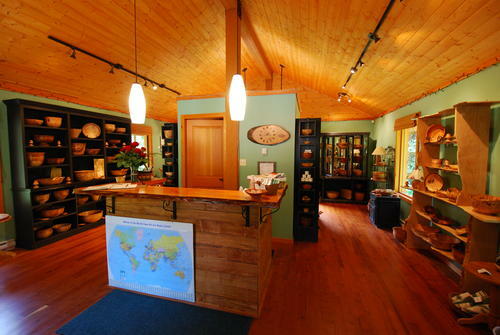 Heartwood Studio is located five minutes west of downtown Duncan in the beautiful Cowichan Valley. Here visitors will find a wide assortment of reasonably-priced, useful and decorative products hand-crafted from local Vancouver Island woods, using eco-friendly methods. 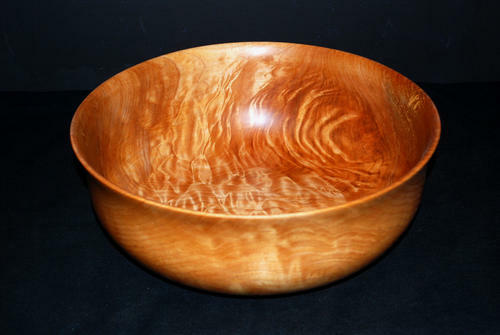 Wood-turner Ken Broadland specializes in making functional salad bowls from beautiful woods such as this Curly Maple bowl. Finishes are walnut oil and beeswax which are both food-friendly and non-toxic. 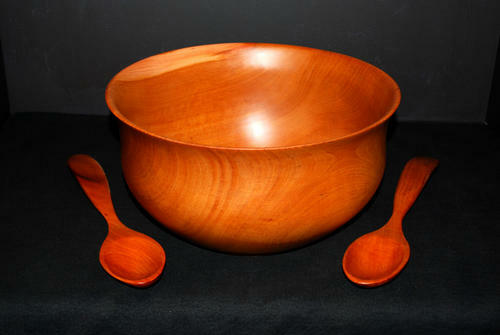 A popular wedding gift is a set of salad bowl and servers. These are made of Arbutus (known as Madrone in the US). Utensils available at Heartwood Studio include several different styles of salad spoons and servers, stir-fryers, cooking spoons, spreaders, salsa spoons, scoops and much more. 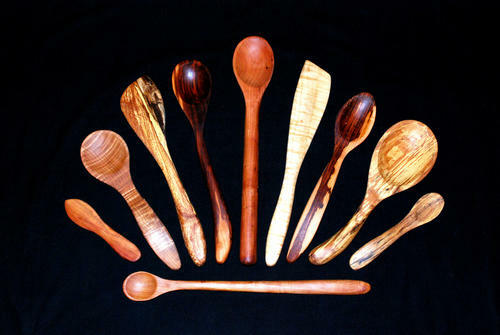 Most are made of maple or arbutus, with plum, apple, dogwood, cherry and others also in stock. 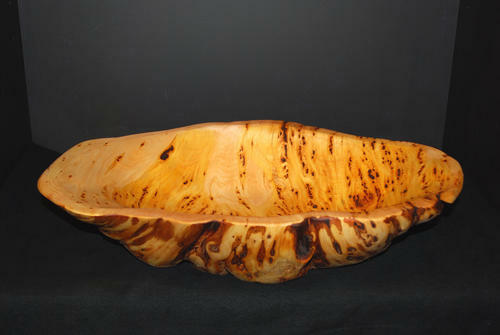 Although Ken's main concentration is on combining form with function, he also enjoys creating artistic pieces such as this Yellow Cedar carved-out burl bowl. Open at your convenience. Please phone or email ahead for appointment.